Stéphane going off a roof!?! Actually no... 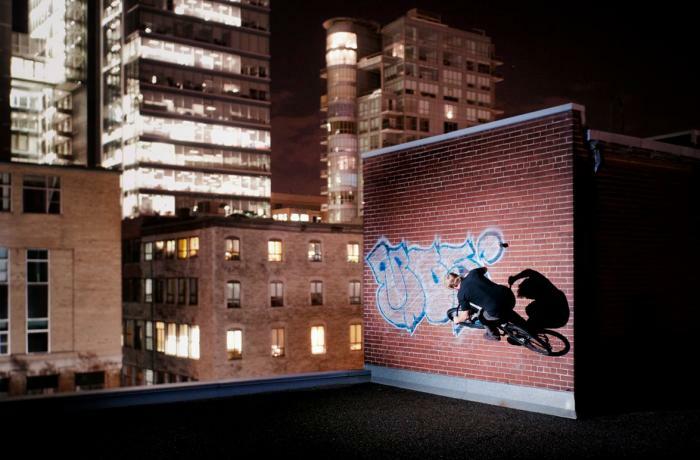 But he did get on a 10 story building roof top to shoot this one with photographer Julien Grimard. Wallriding 5 feet away from a 35 foot fatal drop! All of this resulting in this stunning picture!